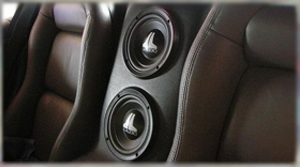 Home > Car Audio > Subwoofers > 6.5"
Looking for an easy way to upgrade your factory system? We stock 6.5" subwoofers that can be used as factory replacements. You can also fit these shallow-mount 6.5" almost anywhere in your vehicle including: under your seats, in a center console, the dash, or even a door panel.